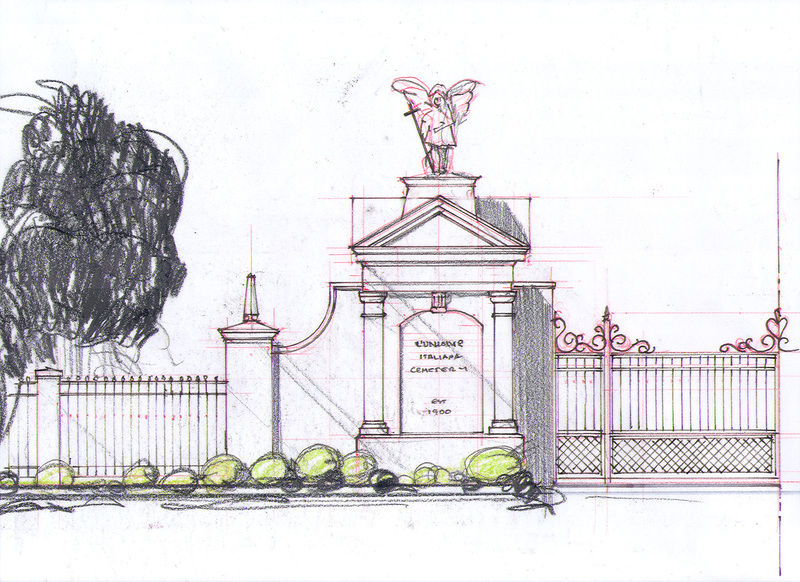 The following Gate Design Study was to identify an alternate design for incorporating site facilities , such as a restroom, storage for a hydraulic lift for mausoleum crypts. The selection of twin entry gates to facilitate the needs of the Cemetery is under review. The proposed gate design compliments the existing architecture and character of the existing structures and also would respect the function of the cemetery. 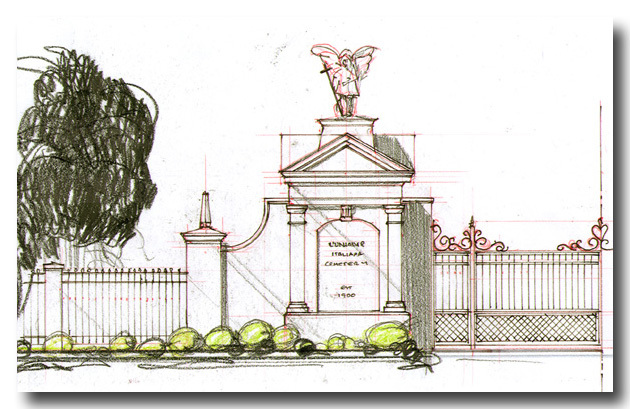 A study sketch of the Cemetery Entrance Gates. For additional information about the Italian Club Cemetery please contact 813-248-3316.